The liver, along with the gallbladder, plays a very important role in ensuring the health of our body. However, it’s not just involved in digestive functions. It also takes part in vital processes such as hormone secretion and storing some nutrients. In addition, your liver is also classified as an excretory organ, since it filters the blood all the time to remove toxins that build up in the bloodstream. This helps to destroy some types of viruses and bacteria. It also helps prevent some chronic diseases. The problem is that it sometimes has difficulties in carrying out its tasks. This is either due to an illness or an excessive accumulation of waste products caused by bad habits. Because of this, it’s essential to improve your eating habits and eat more natural foods that help strengthen and stimulate your liver’s functions. In today’s article, we want to share the 7 best foods to do this so that you can add them to your diet. 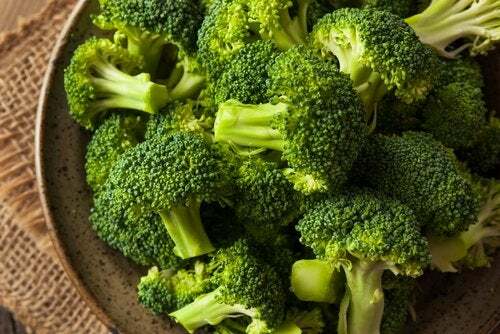 Broccoli is one of the best dietary options for purifying the liver naturally and is also considered one of the healthiest green vegetables. It contains powerful antioxidants that help lower your risk of cancer and eliminate toxins retained in the body. Broccoli’s high fiber content favors the digestion process and also helps to control high cholesterol levels. Finally, it also provides vitamin E to the body, a fat-soluble nutrient with an antioxidant effect that protects this organ from premature deterioration. Nuts contain nutrients such as the amino acid L-arginine, whose effects on the body reduce the level of liver intoxication. This, coupled with its fiber and omega 3 fatty acid content, make them a good choice to stimulate the purification of this vital organ. Consuming them in minimum doses controls cholesterol levels and supports the fat digestion process. Apples are one superfood that we should all include in our diet. They have been known for their medicinal properties for years. Hence, they’re ideal for cleaning the liver and improving the activity of the gallbladder. 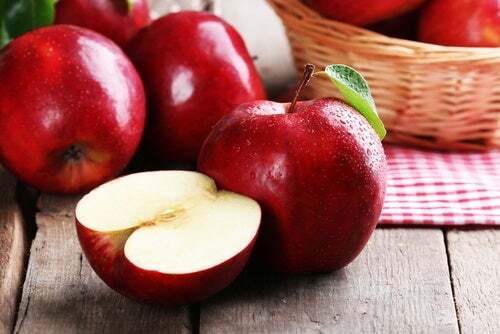 Moreover, they’re rich in pectin, a type of soluble fiber. This makes them a type of food that aids in cleansing the digestive tract by removing toxins in the colon and liver. Eating this fruit lowers levels of bad cholesterol (LDL). It also reduces the overload of tasks that the liver experiences from having to metabolize this type of cholesterol. In addition, it provides malic acid, a natural nutrient that facilitates the expulsion of carcinogenic compounds and toxins retained in the blood. All varieties of citrus fruits contain essential oils and antioxidant vitamins that naturally cleanse the liver as well as soothe inflammation. Their high vitamin C content increases the immune response of the body and prevents the development of infections and serious diseases. Citrus fruits also improve the synthesis of toxic materials and encourage their elimination through digestive processes. Avocadoes are one of the nutrient-rich fruits that promote the health and cleansing of the liver. It’s an ideal ingredient to remove toxins retained in the body because of its essential amino acid, fiber, and antioxidant content. 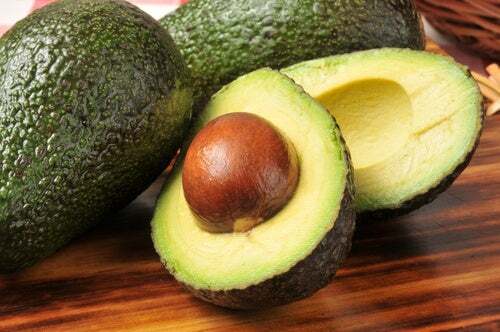 Moreover, avocado provides glutathione, which is a compound that the liver needs to remove foreign agents and toxins. Its concentration of omega-3 fatty acids helps remove bad cholesterol (LDL) and plays an important role in the regulation of inflammatory processes. Olive oil is one of the healthiest fats that can be added to your diet to protect liver health. It contains antioxidant, anti-inflammatory and cleansing substances that promote the cleansing of the blood. This helps to correctly eliminate the toxins. Furthermore, the essential fatty acids found in this oil control bad cholesterol levels (LDL). They also improve arterial health to reduce the risk of heart disease. Its contribution of vitamin E and amino acids create a protective barrier against free radicals. This reduces the risk of cancer and chronic conditions. Tomatoes contain lycopene and essential amino acids. After being absorbed, these promote good liver function for the optimal disposal of waste. Its contribution of glutathione, a powerful protein, gives tomato detoxifying effects that help improve liver functions. It also contains flavonoids and beta-carotene, which are antioxidant substances that improve circulation and help protect against free radicals. To keep your liver healthy and free of toxins, make these foods a regular part of your diet. To strengthen their effects, you should also avoid bad habits such as drinking alcohol and smoking cigarettes. The post 7 Superfoods that Will Help You Cleanse Your Liver Naturally appeared first on Step To Health. Previous: This Is Amazing! Apply Vaseline For 30 Days on Your Breasts And See What Happens!